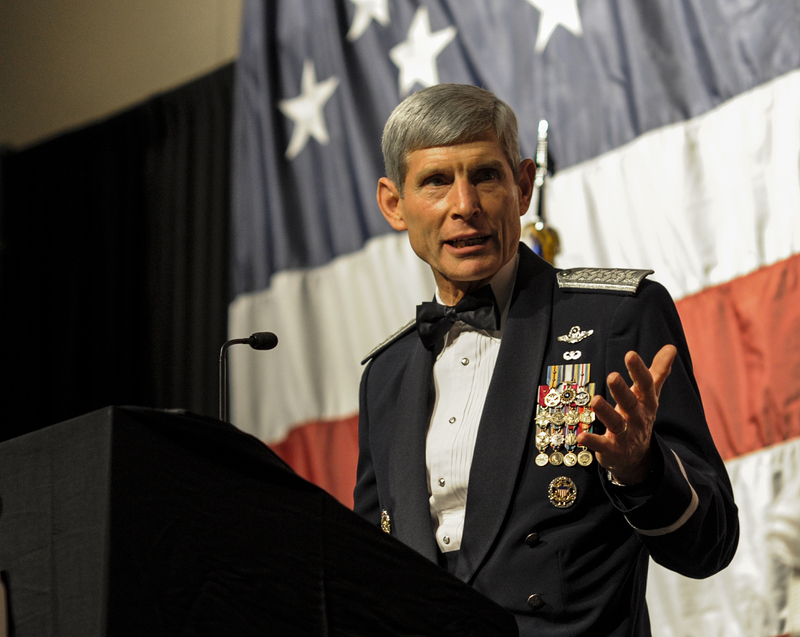 Former Chief of Staff of the Air Force retired Gen. Norton Schwartz has received the highest honor the enlisted force can bestow upon an individual. On Feb. 1, nearly 700 enlisted Air Force Special Operations Command airmen from around the world inducted Schwartz, the 19th Chief of Staff of the Air Force, into The Order of the Sword at the Emerald Coast Convention Center in Fort Walton Beach, Fla.
Schwartz is the AFSOC Order’s eighth inductee, according to a release from the 1st Special Operations Wing. He was nominated for the honor in November after his retirement.